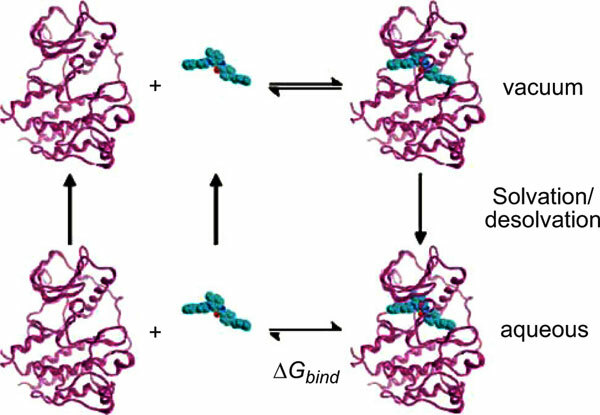 Over the last decade, a number of computational methods have been developed, which attempt to evaluate the thermodynamic properties of individual water molecules at the solute-solvent interface, in order to assess contributions to protein-ligand binding. In some cases, these tools tell us what we already know, e.g. that hydrophobic pockets prefer lipophilic substituents, and in other cases the methods only seem to add clarity when retrospectively applied. Hence we have grappled with how to utilize such approaches to understand non-intuitive results and to generate chemistry ideas that otherwise would not have been developed. Here we provide our perspective on these methods and describe how results have been interpreted and applied. We include examples from GSK and elsewhere that highlight how water methods have been (1) utilized retrospectively to explain non-intuitive structure- activity relationships and (2) applied prospectively for chemistry design. Finally, we discuss where this field of study could lead to maximal impact in drug discovery research. Keywords: Water, solvation, Structure-based drug design, Double decoupling, IFST, SZMAP, 3D-RISM, GRID. Keywords:Water, solvation, Structure-based drug design, Double decoupling, IFST, SZMAP, 3D-RISM, GRID. Abstract:Over the last decade, a number of computational methods have been developed, which attempt to evaluate the thermodynamic properties of individual water molecules at the solute-solvent interface, in order to assess contributions to protein-ligand binding. In some cases, these tools tell us what we already know, e.g. that hydrophobic pockets prefer lipophilic substituents, and in other cases the methods only seem to add clarity when retrospectively applied. Hence we have grappled with how to utilize such approaches to understand non-intuitive results and to generate chemistry ideas that otherwise would not have been developed. Here we provide our perspective on these methods and describe how results have been interpreted and applied. We include examples from GSK and elsewhere that highlight how water methods have been (1) utilized retrospectively to explain non-intuitive structure- activity relationships and (2) applied prospectively for chemistry design. Finally, we discuss where this field of study could lead to maximal impact in drug discovery research.